Looking for a fun, unique way to hang out while camping? 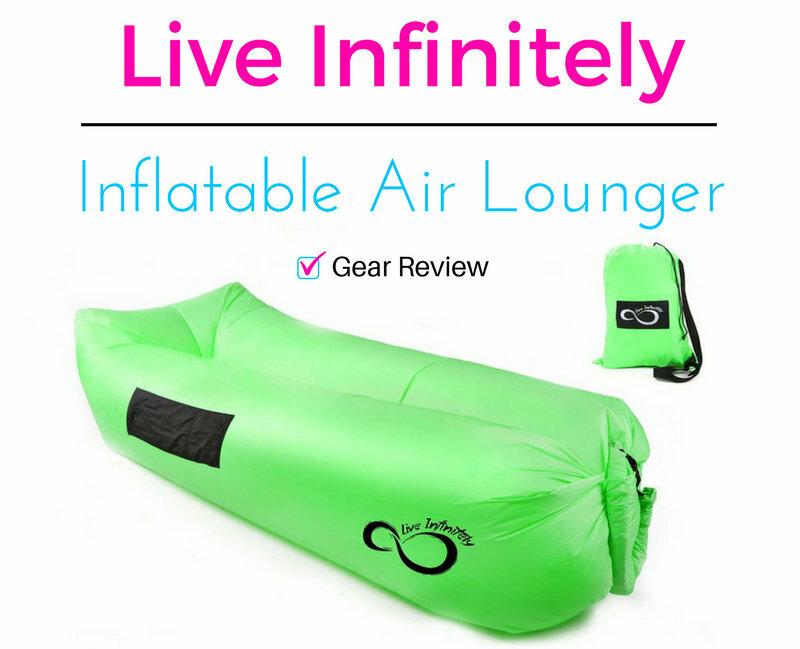 Check out the Air Lounger by Live Infinitely! 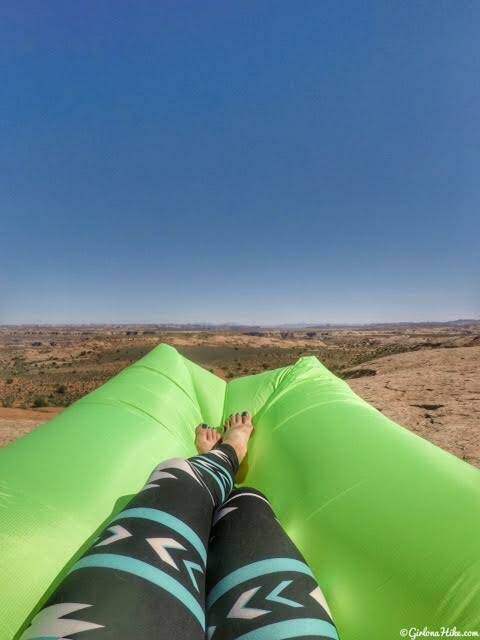 If you get back pain or just tired of sitting in a regular camp chair and want something different, the Air Lounger provides a way for you to sit or lay down anywhere, land or water. It only takes a few minutes to set up - both adults and kids can enjoy the views and campfire from a cozy spot! The Air Lounger can hold up to 500 lbs and is 9 feet long. You'll notice that if you've shopped around for a similar product, they are much shorter than this one. The Air Lounger is designed to hold 2-3 people, so you can share the comfort with your friends! 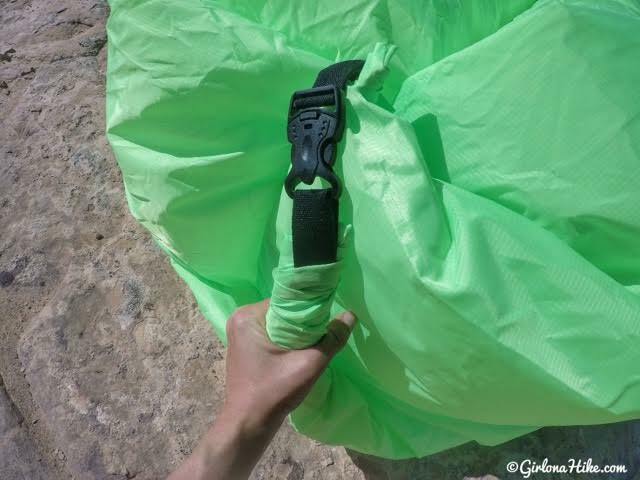 I took this out on a desert camping trip so I could test it out - let's take a look at how it worked out! Not sure what an Air Lounger is? 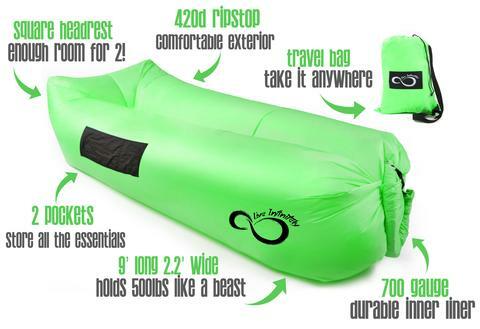 Think of it like an air mattress but in the shape of a canoe. You also don't need to pump air into it - you use the wind to fill up the tubes. 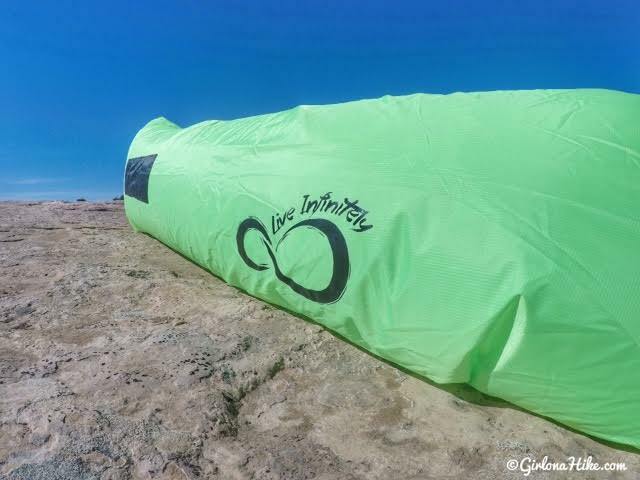 One of the first things you'll notice about the Live Infinitely Air Lounger is the material. It has a really thick, strong material made of 420D Ripstop polyester for the outer layer. The inside is lined with a 700-gauge plastic liner. As a comparison, your typical plastic grocery bag is 125-gauge plastic. The Air Lounger comes in a few color options: black, silver, purple, green (shown), pink, and blue & orange (blue & orange is only on their website, not Amazon). The black strip is actually two pockets. One large for magazines or iPad, and a small pocket for your phone or water bottle. Item weight is a mere 3.2 lbs. In the desert, slick rock can be pretty rough on gear. It's also hard to balance a camp table or chair. With the Air Lounger, you don't need to worry about those issues. Because the material is so strong it won't rip or tear while its on top of rocks or slick rock. 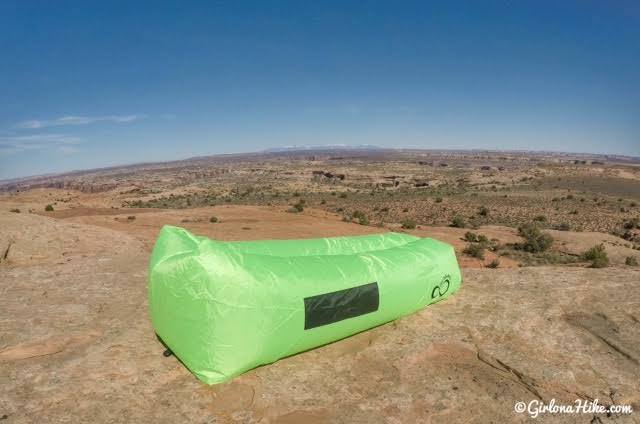 The material somewhat conforms to the terrain, making it easy to set up anywhere. I love that I just settle right into this Air Lounger. So comfy! It's also really easy to clean. Say you drop water or beer on this - all you need to do is wipe it off. It doesn't leave behind stains. After you get air into each tube, roll the Air Lounger up so that it makes the material taught, then clip it with this extra durable clip. If you use this on dirt, there is a loop at the end of the lounger that comes with a stake so you don't have to worry about it blowing away. What a cool way to hang out at camp! I could see this being really fun to use by/on the lake or beach too. The only downside? It's hard to fill up the tubes if there's no wind. I tried running with it like a kite, to fill it with air, but no luck. I also tried the spin option, where you twirl around in circles to fill up the tubes. No luck. You really do need to have a windy day to fill it up. Make sure you watch this video on tips for how to set up the Air Lounger. You can lay in the Air Lounger lengthwise like I am doing, or if you have a few friends with you, sit sideways like on a couch. 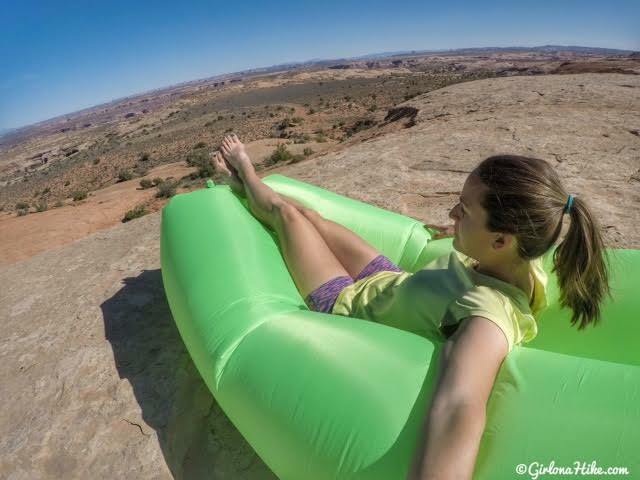 Take a look at all the Pro's to this Air Lounger! For $40 this is great for camping or as a gift. As mentioned earlier, the only con to this is that if you don't have wind it's really hard to fill up the tubes. You can purchase the Air Lounger on the Live Infinitely website, or on Amazon. Be sure to check out all their other products - they offer premium outdoor and fitness gear, and follow them on Facebook, Twitter, Pinterest, Instagram, and YouTube! I always thought they looked real cool, but too bad you have to have a windy day to fill it.